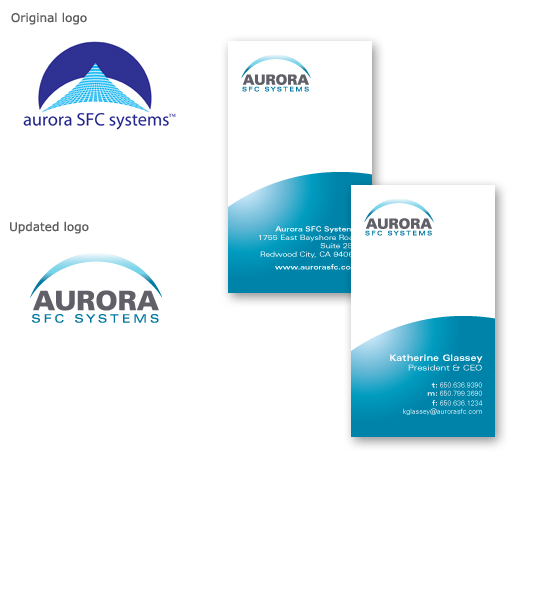 Aurora’s tagline ‘a new dawn in supercritical fluid chromatography’ perfectly fit the company, but the client felt the original logo was dated. Additionally, the grid pattern was difficult to reproduce in some media, creating moire patterns. The updated logo was fresh, modern and simple and retained the brand equity of the original.